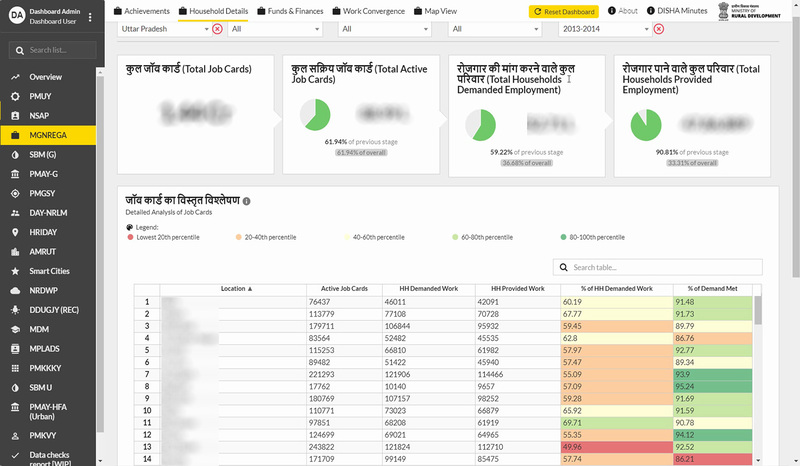 To jumpstart good governance, the DISHA Dashboard brings data from 42 flagship government schemes to one place for the first time. 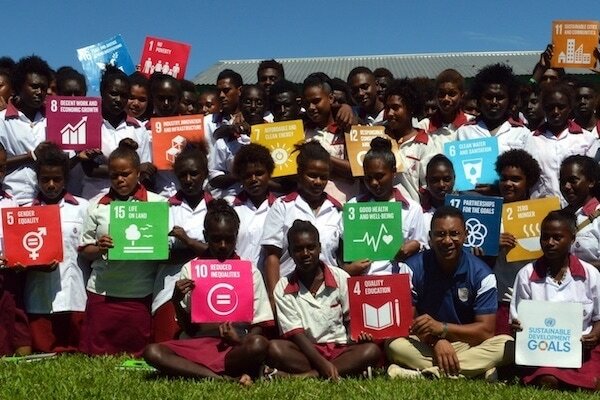 This will help government officials at all levels explore and assess key government initiatives for any geographic level, at any time period. 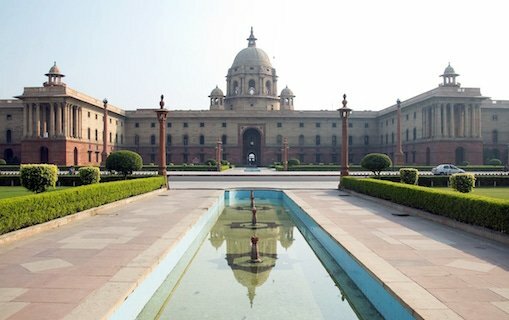 India's data has a geographic problem — each ministry operates on different geographic units and each data set is collected based on different geographic boundaries. For example, the Ministry of Rural Development measures data down to the gram panchayat level, police data is structured on police boundaries, health data is measured around anganwadis (which are mapped based on population, not geographic boundaries), and so on. As a result, government data lives in siloes. Different ministries can't unify their data because of geographic mismatches, and elected officials can't track all the data they need across different schemes and sectors at the lowest granularity. DISHA is a crucial step towards good governance through which we will be able to monitor everything centrally. It will enable us to effectively monitor every village of the country. The Ministry of Rural Development and National Informatics Centre partnered with SocialCops to support elected officials across India with the data they need. The DISHA Dashboard helps Members of Parliament (MPs), Members of Legislative Assembly (MLAs), and District Officials track the performance of all major flagship schemes in their districts and constituencies. 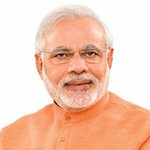 The dashboard will unify data from 42 flagship schemes across 20 ministries, including the National Rural Livelihoods Mission, Pradhan Mantri Gramin Awaas Yojana, and Swachh Bharat Mission - Gramin. It currently provides interactive analysis and visualization for 9 ministries across 50 screens, with 3.5 billion data points updated dynamically. Choose specific schemes and views to figure out the exact information needed. Compare and drill down to states, districts, sub-districts or even gram panchayats. Compare indicators and KPIs on a monthly or yearly basis. Selected indicators make it easy to understand the performance of each scheme and find achievements or issues. Drill down geographically to understand how each area ranks or compare regions across different indicators. With a variety of color-coded maps and charts, understanding the reasons behind a scheme's success or failure is a breeze. Critical KPIs, approved by each ministry, help officials understand the performance of each scheme. 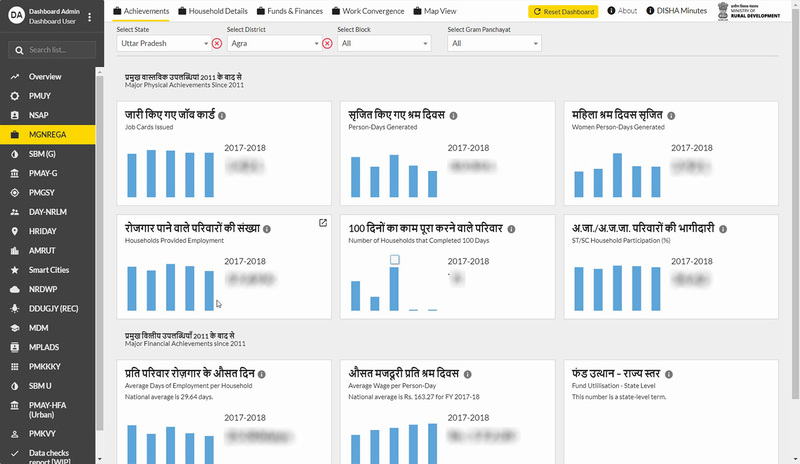 The dashboard connects directly to the scheme databases, so the dashboard is updated continuously. Data for 42 schemes across 20 ministries is finally available and comparable in a single place. 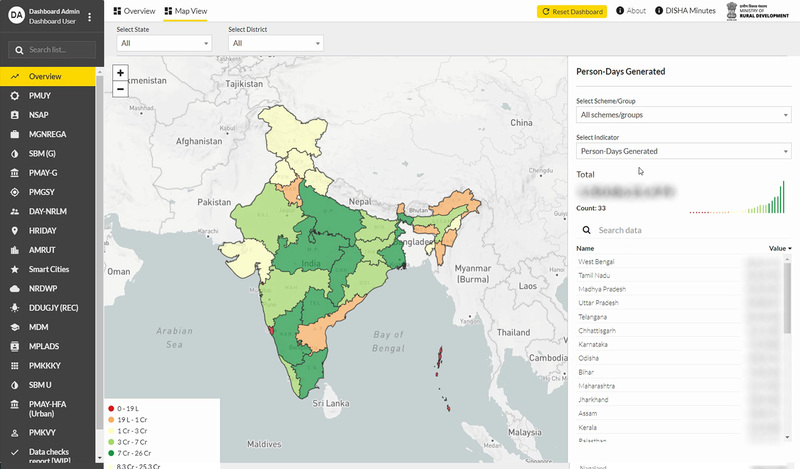 View data at any level — state, district, or even gram panchayat — to make important decisions at any level. Compare metrics and find the top and bottom performing regions at any level — all in a single screen. Surf through all data quickly and use interactive visualizations to explore key metrics. Want to learn more about this dashboard? Get in touch with us.